I am a rock chick and proud of it. Give me Hinder, Shinedown and Alter Bridge over Miley Cyrus, Lady Gaga and Justin Timberlake any day. Driving bass line, wailing lead guitar and the primal beat of the drums are what I love. Throw in the heart-stopping voices of singers such as Brent Smith and Myles Kennedy and I am a happy girl. 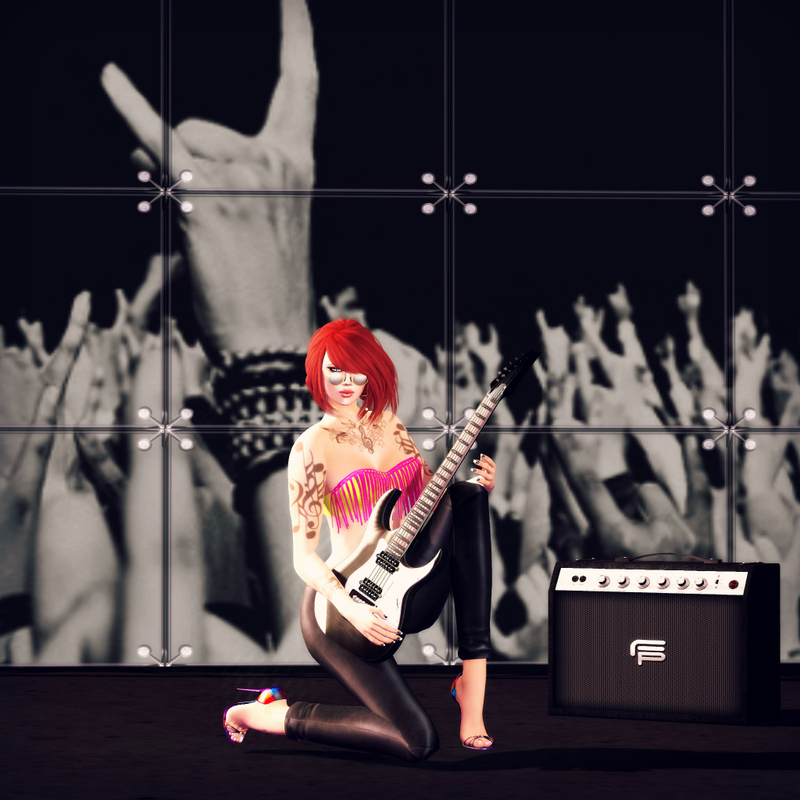 Focus Poses has an awesome rock pose set available at Pose Fair 2014 called “Guitar.” There are lots of poses in this set, many more action-oriented than I am showing here. It includes not only the poses and guitar props, but an amp, foot pedal and even the stage and a separate LCD screen flashing images of the crowd wildly cheering you on. Groupies and roadies are, sadly, not included. This is an amazingly complete pose set from Focus Poses, available at Pose Fair 2014! Check it out to release your inner rock chick or rock god!